The US economy is running hot, with a record high rate of job vacancies and the lowest unemployment rate in nearly fifty years. Yet most forecasters predict no increase at all in inflation. This combination appears to challenge the validity of the Phillips curve, a popular economic model dating from the 1950s that predicts rising inflation when unemployment is low and falling inflation when unemployment is high. In a new paper, however, we show that the relationship between inflation and unemployment has shifted twice—in the late 1960s and in the mid-1990s. The paper replicates the findings of some other researchers, who find a very flat Phillips curve since the 1990s, implying that unemployment has little effect on inflation. But we also propose an alternative hypothesis: The Phillips curve is bent when inflation is low so that high unemployment has little downward effect on inflation, but low unemployment still pushes inflation up. If we are right, inflation is likely to rise modestly over the next couple of years. We will explore what this means for monetary policy in a subsequent post. Alban Phillips (1958) developed the original curve bearing his name. It related the rate of wage inflation to the unemployment rate in the United Kingdom over the period 1861–1913. Olivier Blanchard (2017, chapter 8) showed that a similar downward-sloping curve in terms of price inflation and unemployment was apparent in the United States in 1900–1960. Our paper confirms Blanchard’s finding that the rising inflation of the late 1960s led to the unmooring of expectations of inflation from the stable low levels that had prevailed before then and a shift in the Phillips curve to a relationship between the change in the rate of inflation and the unemployment rate. The return of inflation to a very low and stable level led to a second shift in the Phillips curve in the mid-1990s, back to a relationship between the level of inflation and the unemployment rate. In addition to this shift in the persistence of inflation, many researchers have found that the Phillips curve has been very flat since the 1990s, so that changes in unemployment have little effect on inflation. This was most dramatically demonstrated in the aftermath of the Great Recession of 2008–09, when unemployment remained very high for years and yet inflation barely dipped. We show, however, that another hypothesis fits the data equally well: The Phillips curve may become bent when inflation is low, with a flat portion for high unemployment and a steeper portion for low unemployment. We believe that low inflation bends the Phillips curve because firms and workers resist price and wage cuts, a concept commonly referred to as downward wage and price rigidity. At all times, business conditions differ across firms. Some firms have weak sales and wish to raise prices less than average; others do better and wish to raise prices more than average. However, when average inflation approaches zero, raising prices less than average requires cutting prices. Some firms may refuse outright wage and price cuts, preferring to accept lost sales and layoffs instead. This bends the Phillips curve and makes it flatter when inflation is low and unemployment is high. Figure 1 shows the Phillips curve for both hypotheses using data from 1959 Q2 to 2018 Q4. The unemployment gap is the unemployment rate minus an estimate of the equilibrium or natural rate of unemployment. When the gap is zero, there should be no upward or downward pressure on inflation. The shifting linear model is one in which the slope is linear and has fallen in the low inflation period of the last 20 years. The low inflation bend model is one in which the Phillips curve is steep and linear when inflation is high, and nonlinear when inflation is low. The unemployment gap has been to the right of -1 percent for 95 percent of the time since 1995, making it hard to tell which hypothesis fits the data better. Now that unemployment is below its natural rate, the shifting linear model and the low inflation bend model have different implications for future inflation. Figure 2 displays projections of inflation under the assumption that the unemployment rate remains at its current level of 3.8 percent. The hypothesis of a flat linear Phillips curve (shifting linear model) implies little change in future inflation. The hypothesis of a bent Phillips curve when inflation is low implies a modest pickup in inflation. 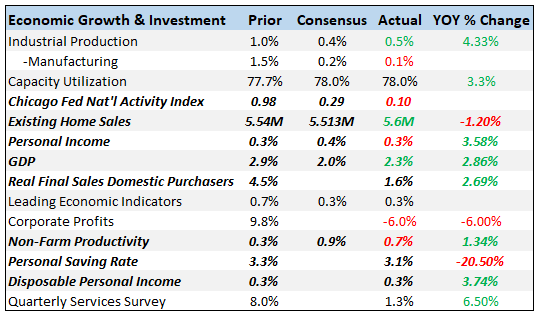 The average of private-sector forecasts for consumer price index (CPI) inflation, as reported in Blue Chip Economic Indicators, calls for essentially no change over the next couple of years. This is consistent with the shifting linear model. However, if low inflation bends the Phillips curve as we suspect, inflation is likely to rise a bit more than forecasters currently expect. Blanchard, Olivier. 2017. Macroeconomics (7th edition). Upper Saddle River, NJ: Pearson Education. Gagnon, Joseph E., and Christopher G. Collins. 2019. Low Inflation Bends the Phillips Curve. PIIE Working Paper No. 19-6. Washington: Peterson Institute for International Economics. Phillips, Alban William. 1958. The Relation between Unemployment and the Rate of Change of Money Wage Rates in the United Kingdom, 1861–1957. Economica 25: 283–99. 1. We use the long-run equilibrium unemployment rate estimated by the Congressional Budget Office. As shown in our paper, these findings are not sensitive to using other measures of the gap. 2. Blue Chip does not project core CPI inflation, but with food and energy prices generally expected to move with other prices, projections for headline and core inflation should be similar.